The Mount Hood volleyball team entered Wednesday's match in last place in the NWAC South with an overall record of 8-21. Wins have been a struggle for this young squad that has battled injuries and inexperience all year. But this season hasn't been about wins and losses for the Saints. It's been about improving and showing growth as a program. Even though it came in a loss, Mt. Hood clearly showed that improvement they were looking for in their final home match of the season. 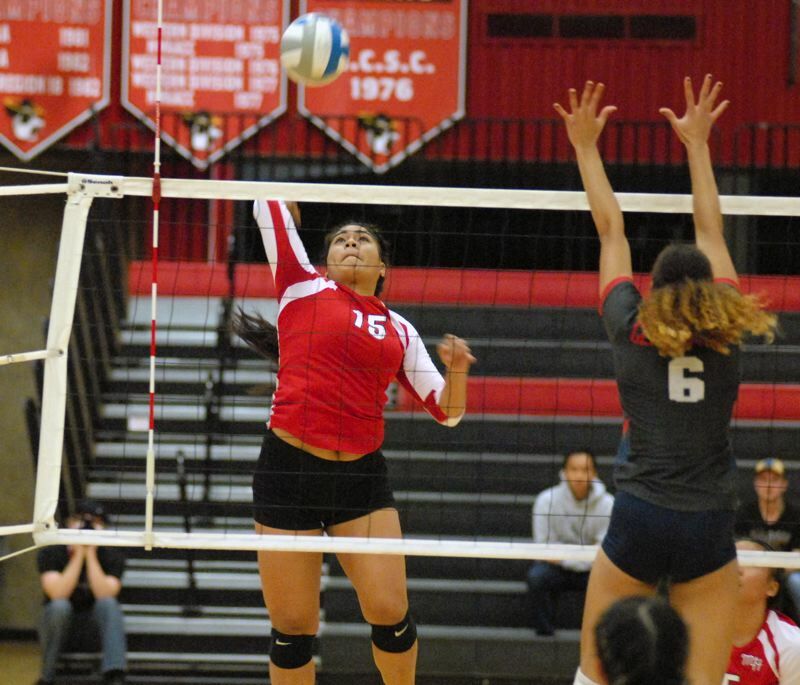 The Saints took the opening game against Clackamas — who holds the second place spot in the division — but still ended up losing by a score of 23-25, 25-17, 25-21, 25-23. Even in defeat, first-year head coach Kristina Crivello saw good things from her squad. "We showed progress, and that's our goal," Crivello said. "I'm proud of our improvement and where we have come. If we would have cleaned up some of those unforced errors, this might have been a different match." Lea'a Puleiala had a huge night for Mt. Hood, leading the Saints with 19 kills and 21 digs. Grace Buchanan had 13 kills of her own while Kamaile Labanon added 10. With the sophomores being honored before the match, it appeared that Mt. Hood was playing off sheer emotion to start the opening set. A pair of kills from Buchanan put the Saints on top 4-2. Labanon was soon to follow with a pair of kills of her own as Mt. Hood put together a nice little run to go on top 12-6 and forced Clackamas to burn a timeout. Look for extended coverage in the Nov. 2 print edition.